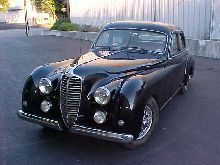 The final Delahaye was the 235 in 1951. This had a 3,557 cc six-cylinder engine with power of 150 bhp at 4,200 rpm. This model was unable to prevent the marque's demise. Fewer than 100 cars were sold that year and Delahaye could not survive.